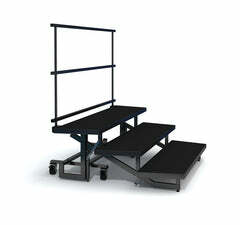 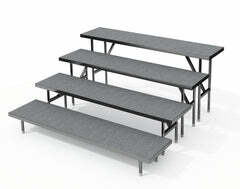 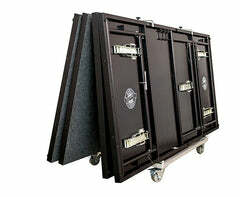 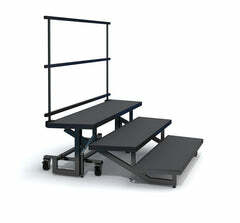 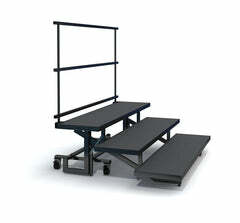 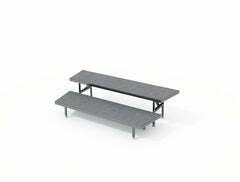 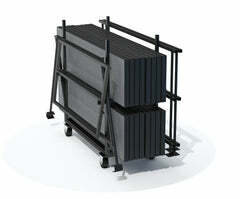 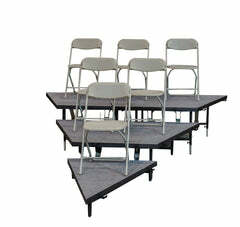 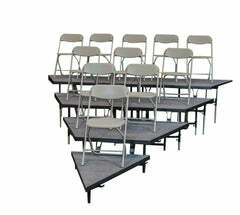 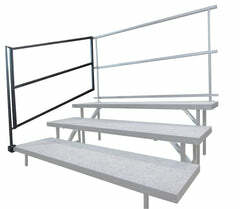 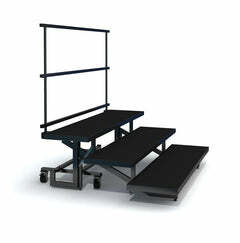 Staging 101 Seated Risers are constructed high quality plywood and steel and feature a 10 year warranty. 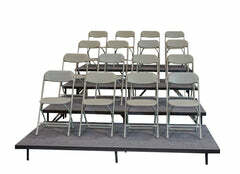 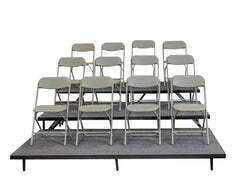 This Seated riser configuration holds 64 to 76 chairs (76 if chairs are all on the risers, 88 if the first level of chairs are placed on the ground) What makes Staging 101 risers unique is that straight and wedged sections can be combined together easily to form different configurations (many competitor's risers do not have this option). 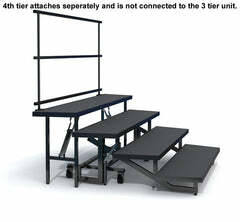 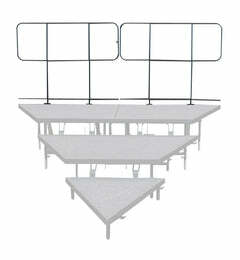 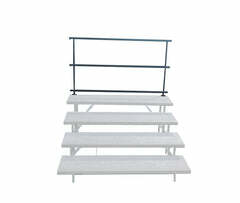 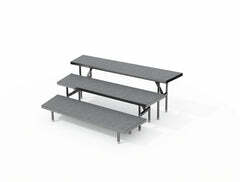 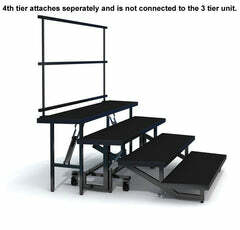 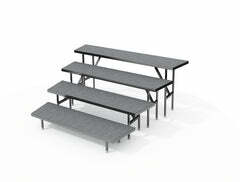 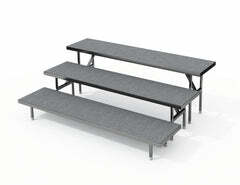 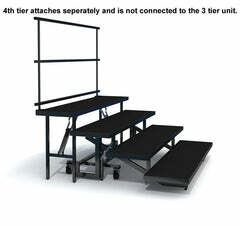 This configuration consists of 3 Tier Seated risers in 8", 16", and 24" heights. 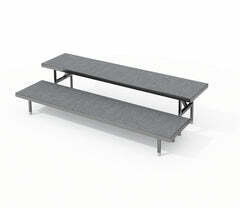 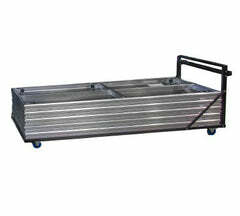 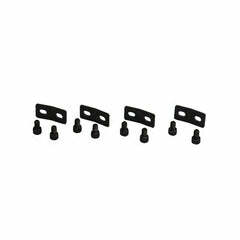 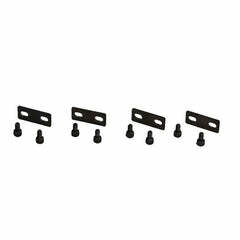 They are available in a Carpet or Industrial finish and with or without a rear guardrail and side guard rail option. 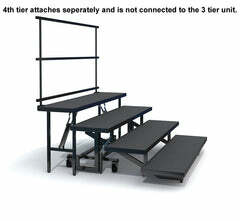 Please choose from the options available.